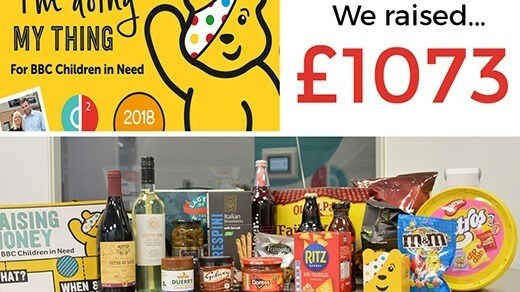 In a record breaking Children in Need year where the total on the night exceeded £50m, we were happy to have helped raise this total with an auction of promises. We’re proud to announce that our hard-working charity team’s flagship event of the year raised a grand total of £1,073! A huge thank you to everyone who took part and the extremely generous local businesses and suppliers who supported this event by donating some amazing prizes.